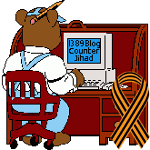 Beheading in Islam — 1389 Blog - Counterjihad! When you hear of beheading, do you assume that Islam is involved? Beheading is an integral part of Islam. Mohammed repeatedly ordered people beheaded and the Koran even includes beheading. Beheading is threatened to settle arguments about Islam. Men were threatened with beheading if they did not become a Muslim. Beheading is mentioned nine times in the Hadith of Bukhari, once in the Koran and 41 times in the Sira. Beheading is recommended and common in the doctrine of Islam.